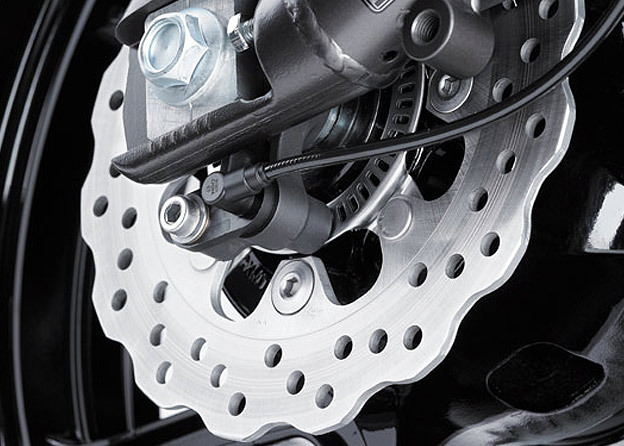 Developed and tested through Kawasaki Factory racing, the Assist & Slipper Clutch utilizes two types of cams. 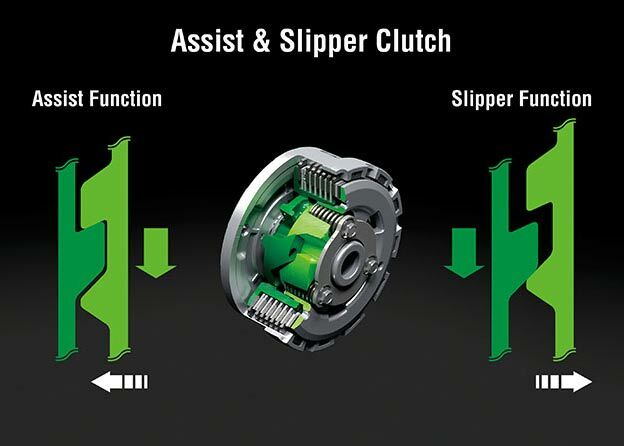 An assist cam and a slipper cam enable the Assist & Slipper Clutch to function in two different ways, with the clutch hub working together or apart from the operating plate. Under normal operation, the assist cam functions as a self-servo mechanism, pulling the clutch hub and operating plate together to compress the clutch plates. 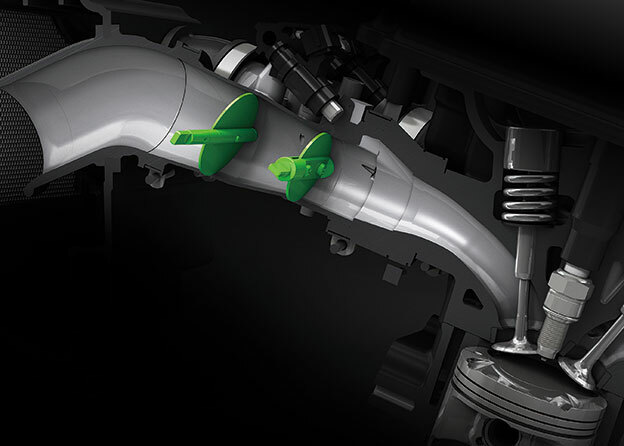 This allows the total clutch-spring load to be reduced, resulting in a lighter clutch feel at the lever. 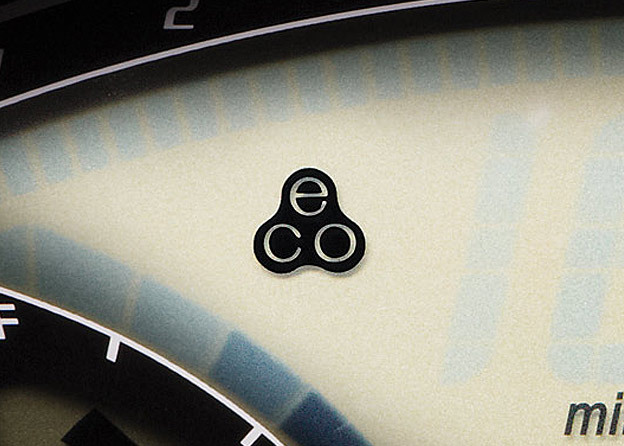 When excessive engine braking occurs – as a result of quick downshifts (or an accidental downshift) – the slipper cam comes into play, forcing the clutch hub and operating plate apart. This relieves pressure on the clutch plates to reduce back-torque and help prevent the rear tire from hopping and skidding. 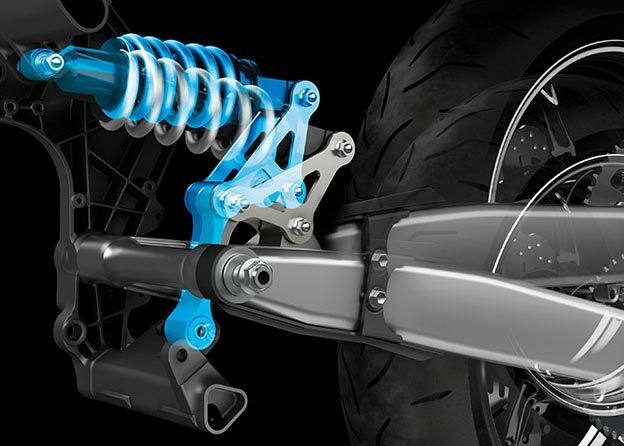 When comparing Kawasaki's traditional Uni-Trak® rear suspension, which mounts the shock unit vertically, with Horizontal Back-link rear suspension, the shock unit is almost horizontal. 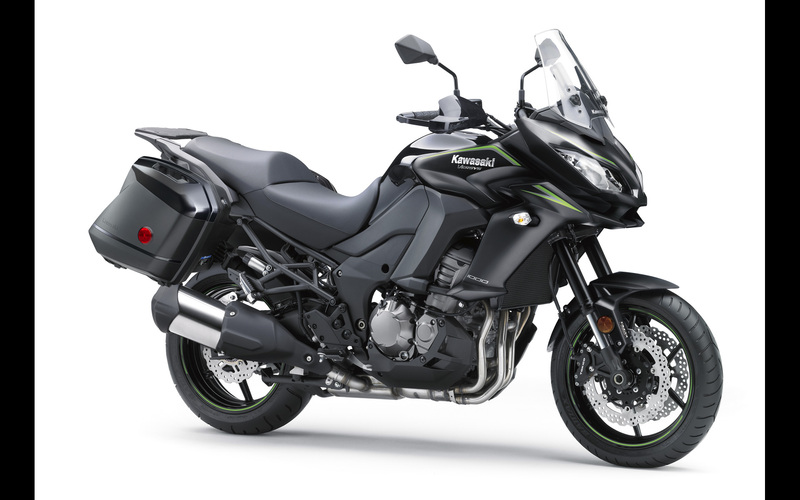 Kawasaki's original suspension arrangement places the shock unit very close to the bike's center of gravity, greatly contributing to mass centralization. And because there is no linkage or shock unit protruding beneath the swingarm, this frees up space for a larger exhaust pre-chamber (an exhaust expansion chamber situated just upstream of the silencer). With a larger pre-chamber, silencer volume can be reduced, and heavy exhaust components can be concentrated closer to the center of the bike, further contributing to mass centralization. The overall result is greatly improved handling. Another benefit is that the shock unit is placed far away from exhaust heat. Because it is more difficult for exhaust heat to adversely affect suspension oil and gas pressure, suspension performance is more consistent. Horizontal Back-link Rear Suspension offers numerous secondary benefits like this. 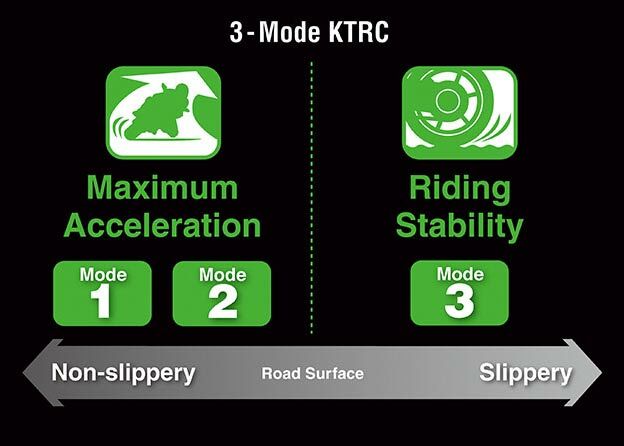 3-mode KTRC combines multiple traction control technologies into one: 1-mode KTRC, which provides enhanced stability in slippery situations by preventing wheel slip, and S-KTRC, which helps maintain optimum traction in sport riding situations by predicting the rear wheel slip ratio during acceleration. 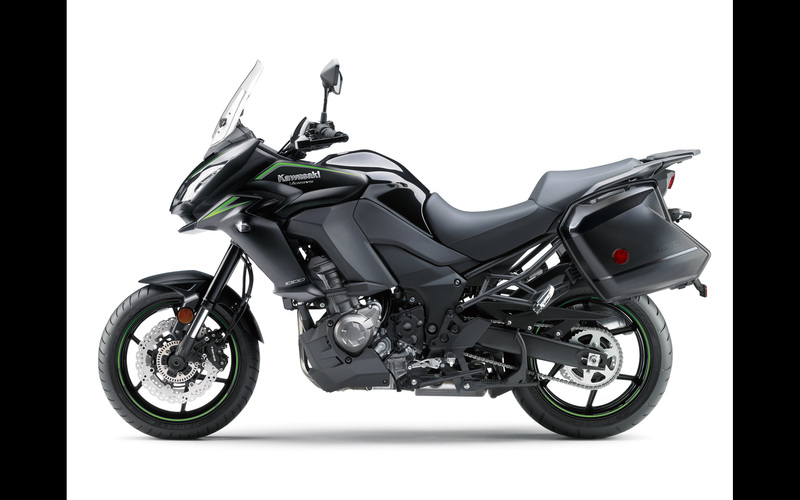 The convenient handlebar switch allows the type of traction control to be changed instantly by selecting one of the three modes, even while riding. Modes 1 and 2 maintain optimum traction during cornering, like S-KTRC. Designed with sport riding in mind, they enable sharp acceleration out of corners by maximizing forward drive from the rear wheel. Modes 1 and 2 differ in the amount that they intervene. Mode 1, set for dry, good-grip road conditions, maintains the ideal slip ratio to ensure optimum traction. Mode 3 operates like 1-mode KTRC, reducing engine power to allow grip to be regained when rear wheel-spin is detected. It is ideal when riding in slippery or wet conditions. Enabling riders to easily change traction control character, 3-mode KTRC is Kawasaki's most advanced engine management system. Power modes offer riders an easily selectable choice between Full and Low Power. While Full Power is unrestricted, in Low Power mode, maximum power is limited to approximately 75-80% of Full. 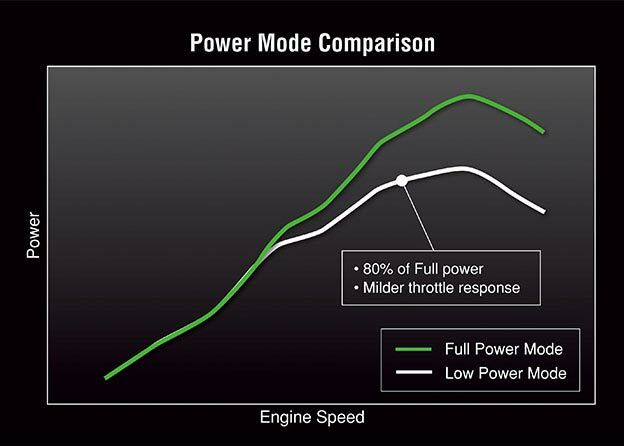 Throttle response is also milder in Low Power mode. Riders may opt to use Low Power mode for rainy conditions or city riding, and Full Power when sport riding. 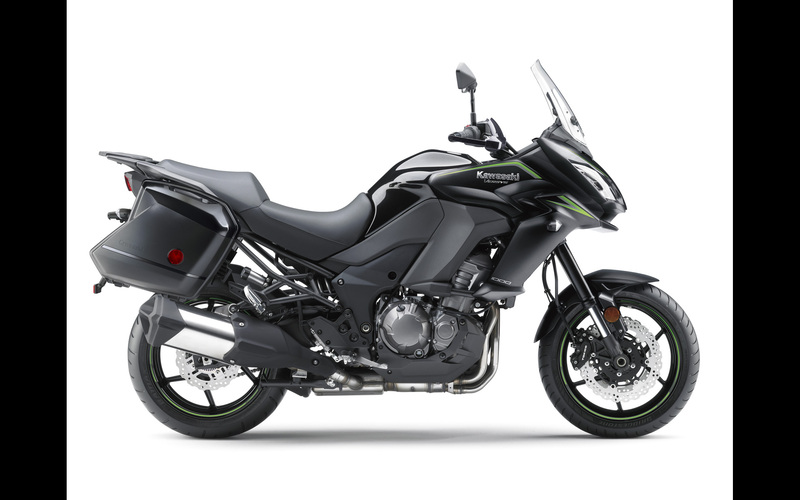 Available on the Ninja® ZX™-14R / ZZR1400, Versys® 1000 and other Kawasaki models, when combined with the 3-mode KTRC (+ OFF) Traction Control system, Power Mode selection offers a total of eight combinations (KTRC: Mode 1/2/3/+OFF x Power Mode: Full/Low) to suit a wide range of riding situations. For example, an experienced rider enjoying sport riding on dry pavement might choose Full Power and Mode 1. On a wet or slippery surface, choosing Low Power and Mode 3 would yield the lowest chance of incurring wheel-spin, and the milder throttle response would offer a higher level of riding safety.